This is a rather faded sign, reading Kress 5 10 25 Cent Store. It is on the 124th Street back end of what was an S. H. Kress & Co. store located on 125th Street. Kress was located from 1920 to 1946 at 256 W. 125th St. Apparently this was the first S. H. Kress store in New York City. Acquisition of the property by Kress was reported in Real Estate Record and Builders' Guide, vol. 104, no. 11, 13 Sept. 1919, pg. 347, as follows, "M. & L. Hess, Inc., have leased for the Alf Haymen Estate, William R. Rose, A. I. Haymen and Minnie Haymen, trustees and Henry Dazian, the property known as 256-258 West 125th street, having a frontage of 50 feet on 125th street and 100 feet on 124th street, comprising a plot of 15,000 square feet, which for many years has been occupied by the Pabst Harlem restaurant. The lessee is the S. H. Kress & Co., well known Five-Ten-and-Twenty-five-Cent chain store corporation, which operates 150 stores, extending from coast to coast in the southern part of the United States. The founder and president of this corporation is Samuel H. Kress, of this city. The lessee will erect a new two-story and basement building covering the entire plot, thereby giving them 45,000 square feet of floor area, and will utilize the entire building for its own purposes. This is the first Kress store to be opened in this city. The lease is for a term of twenty-one years at a rental aggregating $1,000,000, and carries with it the privilege of renewal for a like term." Currently (2016) New York City Department of Buildings shows 256-258 West 125th Street running through to 124th Street, where the numbers are 243 to 257. The Kress store on 125th Street possibly had a back entrance beneath this sign on 124th Street. The Kress Legacy at kressfoundation.org says that the first S. H. Kress & Co. Five and Ten Cent Store opened in Memphis, Tennessee, in 1896. The founder was Samuel Henry Kress (1863-1955). At its height there were 264 Kress stores in the United States. The S. H. Kress article at www.britannica.com includes, "Samuel Henry Kress (born July 23, 1863, Cherryville, Pa., U.S.—died Sept. 22, 1955, New York, N.Y.) ... With money saved from his teaching salary, Kress purchased a stationery store in Nanticoke, Pa., in 1887. With the profits, he bought a second store three years later in Wilkes-Barre, Pa., and, in 1896, opened a store in Memphis, Tenn. By consistently putting the stores’ income into expansion, he had acquired 12 stores by 1900. His chain of stores offered fewer items than most variety stores, at lower prices, and he bought goods directly from manufacturers and relied on sales volume to make up for his low profit margin. By 1907 Kress had moved his headquarters to New York City and operated 51 stores. During his lifetime, his chain grew to include 264 stores selling $169,000,000 annually." 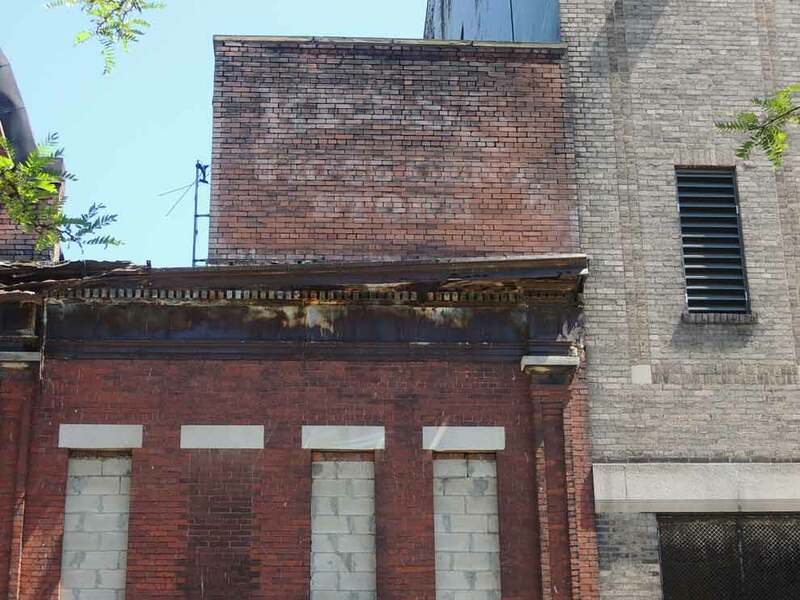 A characteristic Kress inscription is found on what was a Kress store at the corner of 3rd Avenue and 106th Street. This was 1915 Third Avenue, listed in the New York telephone directory as a Kress location from 1925 to 1994. It seems to have been the last surviving Kress store in New York.